Although analysts and probability studies insist on trying to bury it, it seems Facebook is indeed successfully adapting itself to changing usage habits in the tech world. In its latest official report of economic results for the second quarter of 2014, a few pieces of clarifying data stand out: the number of active daily users has increased some 19% year on year, while net revenues have reached $2.91 billion, 59% higher than in the previous year. The secret? Mobile advertising. To put this into perspective, of the 829 million active daily users in June 2014, 654 million of them connected from mobile applications—that is, some 79% of all Facebook users. 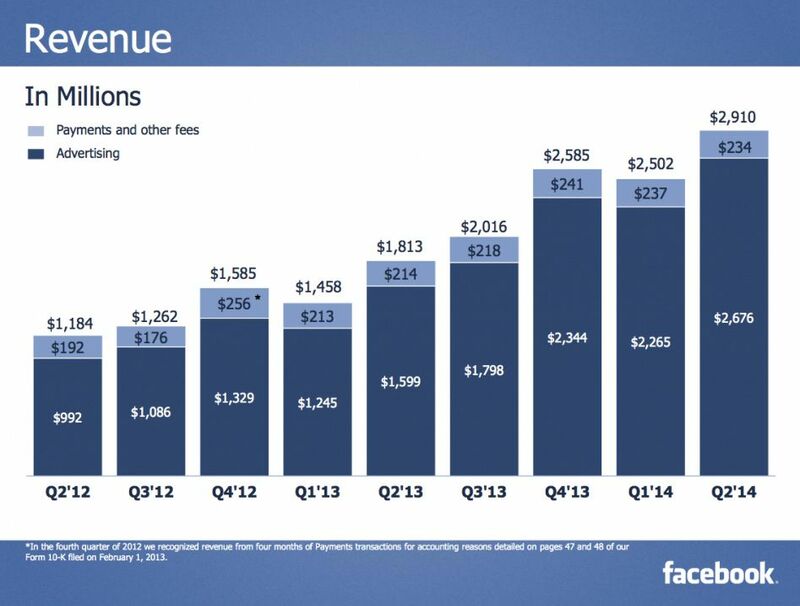 These numbers have a direct impact on advertising revenues. 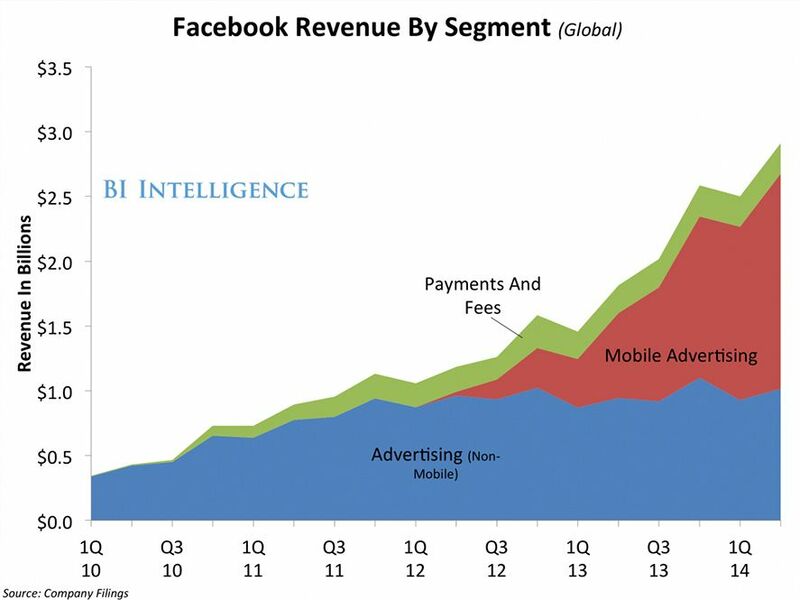 In fact, total ad revenues for smartphones now make up 62% of all ad revenue for the company. All this makes it seem like business is indeed good when you consider that costs have only risen 21%. With the benefit of hindsight, the maneuvers done by the company in recent days now make all the sense in the world, among them the closure of Facebook chat for desktop and the much-discussed acquisition of WhatsApp for $16 billion (a figure that is still shocking when compared with its annual revenue), as well as the recent redesign of its mobile app, the forking-off of Facebook Messenger into an independent app, and the fruitless attempt to standardize the use of Facebook Home. Instant messaging has been an important strong point in this whole process. Alongside the financial data for the first quarter of 2014 a revealing piece of data showed that more than 200 million users use Facebook Messenger, giving them weight for the first time in the rankings amongst the likes of good old WhatsApp and with only WeChat ahead. This disproportionate growth has a clear reason behind it, which is that now more than ever, Facebook has a clear monetization system for a growing market segment. We’ve already discussed before, using firsthand data, how mobile browsing is consistently and unremittingly leaving desktop computers in the dust. Look no further than the 35% increase in 2013 in the volume of Android applications downloaded from Uptodown, making up more than half of the total traffic, even above Windows. Change or die: it might seem trivial to your average entrepreneur without too much interest in the tech world, but it turns out to be crucial to facilitate the unstoppable cycle of digital renewal, which certain sectors that depend entirely on their Internet visibility must support. Mobile advertising is the new hotspot for social networks, and for the moment, it means that their profitability will depend on an infrastructure whose significance few people have yet fully realized.